Keeping your family safe goes beyond the car your drive or the best car seat. 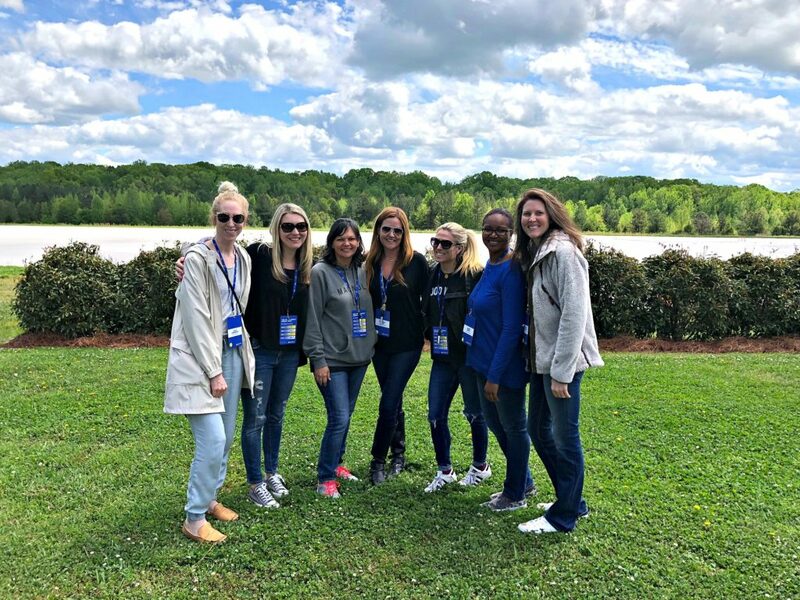 I visited South Carolina last month where our sponsor, Michelin, helped me in learning the truth about worn tires. As moms, one of our main goals from the time we get pregnant is to keep our children safe. We’ve spent hours researching the best of the best baby products. We spare no expense at buying the safest car seat on the market and you may have even traded in your old car for a newer, more family-friendly, and safer model. 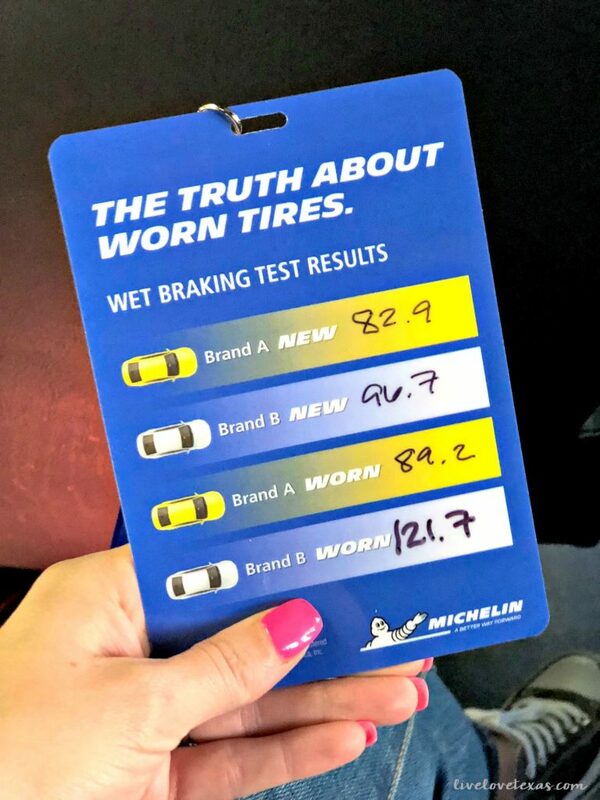 But in all of your research, how much time did you spend learning the truth about worn tires? Honestly, I’ve never spent any time learning the truth about worn tires or even tires in general. Tires have always been a necessity but not really on my radar. I think we all divvy up household responsibilities and aside from getting gas, any other car maintenance tasks fall on my husband. That’s all changed now. Sometimes you can’t just be told something is important, you have to experience it first hand for it to really hit home. That’s how learning the truth about worn tires and the safety impacts they have for my family was for me. Consumers generally look at two things when purchasing tires…price and warranty. Sure, we look at performance history among brands, but that’s all based on new tires. And if you stop and think about it, tires are really only new on the day we buy them. What happens to a tire over time? Is a worn tire as effective at handling and braking as a used tire? 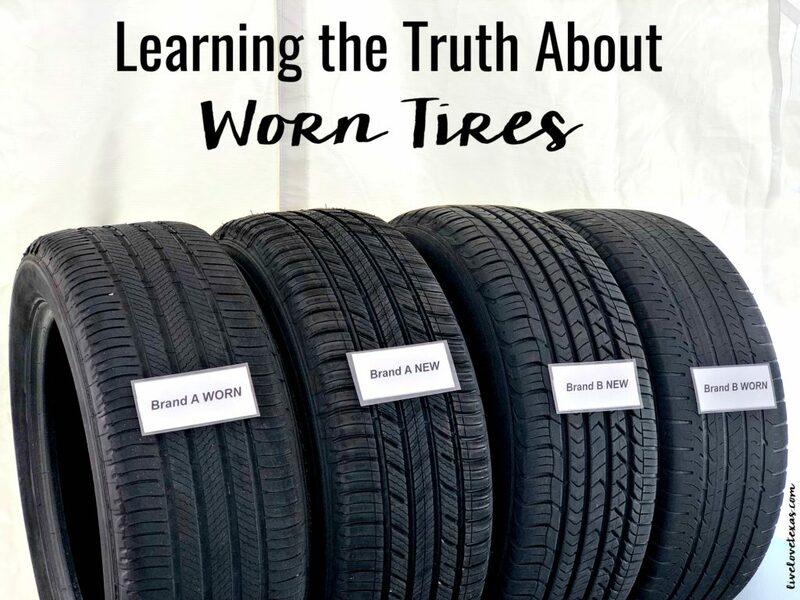 I’d bet that if you were to ask your local tire dealer, they won’t have the answer because not enough research is dedicating to learning the truth about worn tires and how they change over time. Michelin wants to change that and is dedicated to creating a tire that consistently delivers long-lasting performance for the life of the tire. 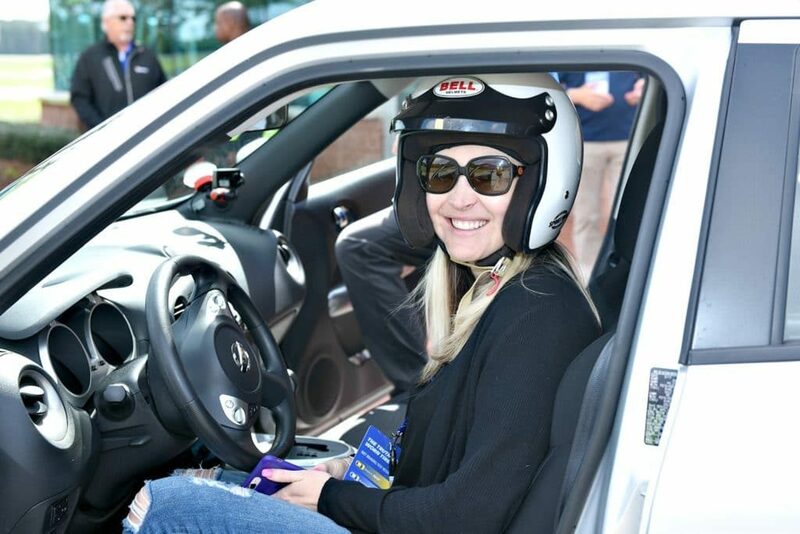 That’s why they invited me and a group of other influencers to their headquarters in Greenville, South Carolina to learn more about tires and test first hand the way different tires respond in wet braking conditions. We visited Laurens Proving Ground, Michelin’s research and testing facility, to test tires on a wet driving course and a wet breaking course to see and feel the difference between new and used tires. The four tire categories for each course were Brand A New, Brand A Used, Brand B New, and Brand B Used. For comparison reasons and to simulate driving conditions with used tires that are still technically government-approved, the used tires were worn down to just 1/32 above the legal threshold. How can you tell if your tire is still safe to drive? Try the penny test, I’ll show you how later today on Instagram! On the wet driving course, we even wore helmets for safety because Michelin really wanted us to get a feel for how the tires would respond if we were to need to stop in a real-life situation on wet roads for a dog running in front of our car, going around a tight corner, or avoiding a collision. I could definitely feel the difference between each set of tires, but the biggest difference I felt was between Brand B Used and all of the other tires. I felt scared I was going to hit something, run off the track, or lose complete control with the Brand B Used. Imagine all the accidents that could be caused by driving on Brand B tires. The wet braking simulation was equally as eye-opening if not more. Again, we tested the same four sets of tires this time on a course to gauge how quickly the tires stopped when you do a hard brake as in an emergency situation. The biggest surprise from the drive? Brand A Used tires performed better than Brand B New tires! And, while Brand A tires do slow slightly with wear, there’s nowhere near the difference in braking time between as between Brand B New and Brand B Used. That is so scary to me! As if I wasn’t already convinced how important learning the truth about worn tires is, the last simulation used one of the most common vehicles on the road and my daily drive for the past 6 years…the Ford F-150. I always felt safe being up high and in such a big truck, but seeing it took half the distance of a football field to stop it made my jaw drop. I’ve always thought about the ability of my truck to stop quickly was based on the brakes alone. But then I learned, brakes stop the wheels, tires stop the car. What a wake-up call! This is obviously an important safety issue for families! You can help bring more awareness to this issue and get more attention to this by starting the conversation with your tire dealer. Asking for safety information and testing from worn tires over time, so that you as a consumer and mother can get the answers you need. Continue learning the truth about worn tires with Michelin here.